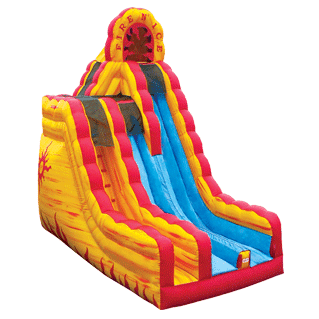 The worlds first two-story inflatable slide is here. Riders can choose between the 1st floor slide or take it up to the 2nd floor for max fun. Experience the Fire N Ice Today.